Six reasons most small church pastors should stay, even if the numbers are static. There are broken churches in the world. Broken churches with failing pastors. Most of those churches are small. Thankfully. But that’s just because 90 percent of all churches in the world are small. 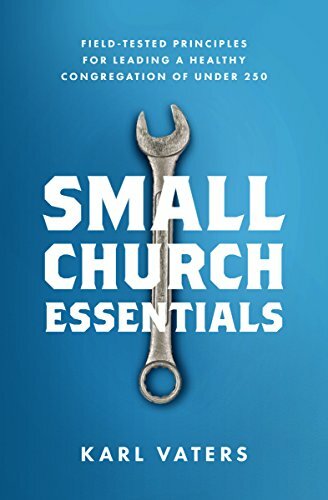 I Don’t Want My Church to Be Small. But It Is. Now What? In our push for church growth, let's not forget the importance of church health. I don’t want my church to be small. It just is. I want my church to grow numerically. But it’s not. I follow all the how-to lists to get it to grow. But they don’t work. I’m told to pray more. So I do. Plan better. So I do. "What am I doing wrong?!" How many small church pastors constantly torture themselves with that question? A healthy church does not inevitably mean a numerically growing congregation. I used to believe that it did. Numbers are a great way for church leaders to gain objective information. They can help us quantify data, spot patterns and trends, and face harsh realities. But information is not the same as truth.